This entry was posted in cell phones / service, technology reviews on September 18, 2014 by john. 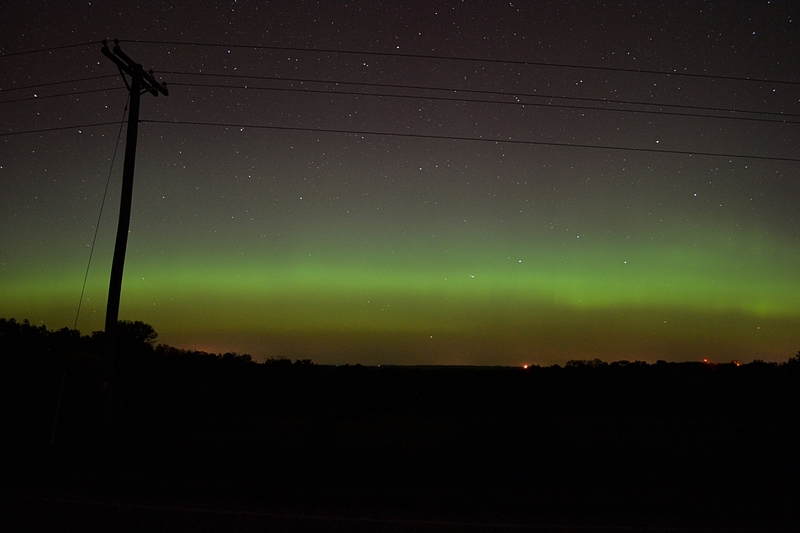 October 2, 2013 aurora, seen from Dodgeville, Wisconsin. SWPC’s front page provides a good quick look at current conditions, including the current storm level. During the geomagnetic storms that give us the Northern Lights, SWPC staff often post updates at the top of the page. OVATION Auroral Forecast – SWPC’s OVATION forecast is more of a ‘nowcast’ — the map shows you where the aurora is now. The map’s ‘view line’ shows where the aurora may be visible, but can be a little conservative. There have been times where the ‘view line’ is in southern Ontario, but pictures pour in from the midwest. So, even if you are south of the line, the aurora may still be visible — go take a look! NOAA Space Weather scales — So, NOAA says there’s currently a G3 level geomagnetic storm in progress, with the possibility of a G3 level storm tonight. But what’s a G2 or G3 level storm mean? NOAA’s Space Weather Scales lay it out, with examples of how far south the aurora may be visible. 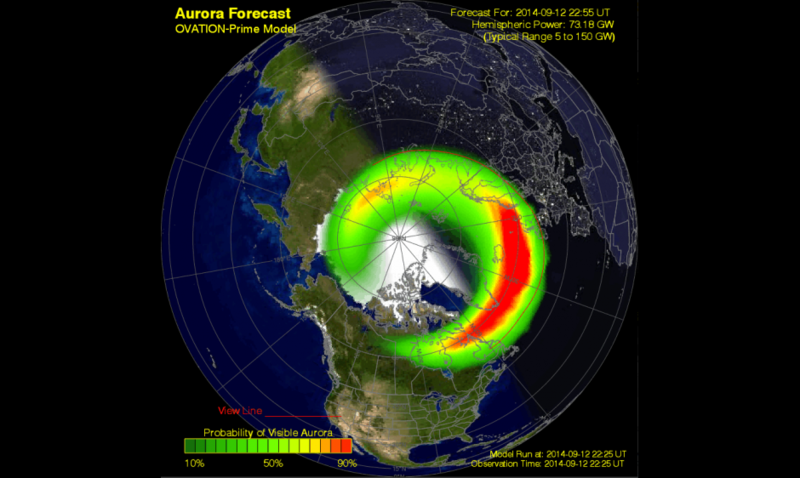 For example, in a G2 level storm, aurora may be visible as far south as New York & Idaho (and Wisconsin!). With a G3 storm, it’s visible even further south. SWPC Product Subscription Service — You can sign up to receive email alerts of geomagnetic storms from SWPC. There are many different alert types that you can ‘subscribe’ to, but some particularly useful ones are the WATCH and WARNING alerts for G2 or greater geomagnetic storms. The SWPC email alerts have given me a heads-up of geomagnetic storming and allowed me to see (and photograph) the northern lights. SpaceWeather.com — This is a great place to go for space weather news. The site also features a photo gallery full of the latest beautiful aurora pictures from users around the world. SpaceWeather.com also offers an alert service that you can subscribe to (for a fee) to receive aurora alerts. Good luck on your own aurora quest! This entry was posted in astronomy, northern lights, photography on September 12, 2014 by john.